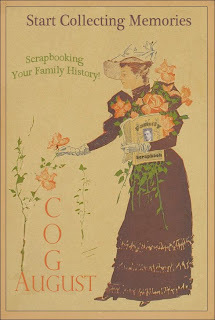 Carnival of Genealogy ~ Scrap Booking My Family History! 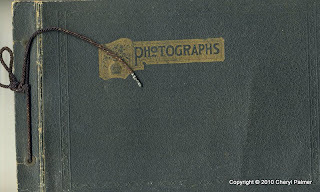 Do you have a copy of your ancestors World War Registration Card? John C. Miner, my great grandfather, lived in Washington when it came time to register for the war. John was born in November 10, 1875 in New York. By the time he and my great grandmother, Gladys, gave birth to my grandmother, they were living on North Dakota. 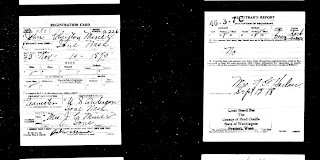 John was 43 years old and living in Ione, Washington when he filled out this Registration Card. He stated he was white and a native born United States citizen who was a teamster employed by U. S. Anderson. Being of medium height, medium build with dark brown hair, brown eyes and married to "Mrs. J. C. Miner" (don't you just love that they don't give you the spouse's first name?) in Ione, Washington, he certainly didn't seem to have any real special or different characteristics about him. After reading about your blog on Randy Seaver’s Genea-musings, I checked it out and it is quite interesting! Thanks! Since I’m a Swede, I thought I should see if I could find out a little bit more about your Lundbergs and this is what I found. 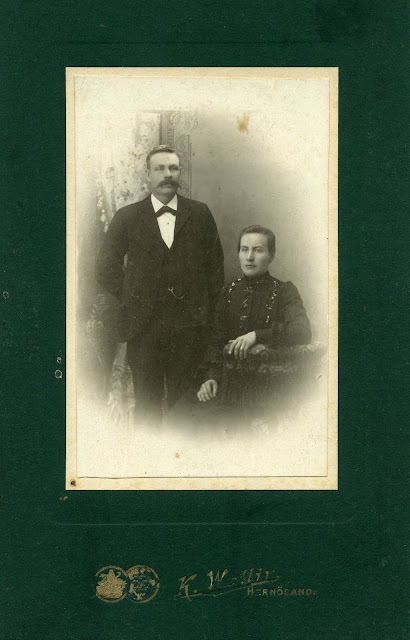 Erik Lundberg (born Jan 1st 1835 in Graninge) and Brita Svedberg (born Nov 1st 1848 in Viksjö) are indeed the parents of Märta Brita and her two brothers Albert Efraim and Olof Ferdinand. (Source: Viksjö AI:9 (1886-1895) page 300). Albert Efraim was born on Sept 1st 1881 in Graninge and died on Jan 8th 1951 in Viksjö. Olof Ferdinand was born on Oct 7th 1885 in Graninge. SNGF ~ Who Do I Write Like? 1) Find something that you have written that you are really proud of - the best of your work. Do an Edit > Copy of it. 2) Go to the websitehttp://iwl.me/and Paste your text into the waiting box. A year or so ago I went traipsing around Livermore, California taking pictures of some of it's historical sites. Here is one building I have been aware of for about 20 years. The business today is named "The Delinquent Dog" and is a dog grooming shop. As you can see, this isn't a very big building. Over all of these years, I never stopped to think how The Delinquent Dog got it's name, or where the name came from. At least forty years or so ago, this building used to be the Livermore jail! Hence, "The Delinquent Dog!" Clever name, don't you think? 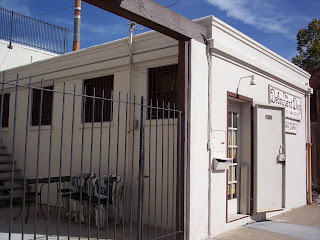 This current photo shows the bars and doorways of the old jail and it's two cells. Each of the old cells are now used as bays to bath and groom the dogs. Here, you are looking at the cells from the inside back of the building, facing the front door. 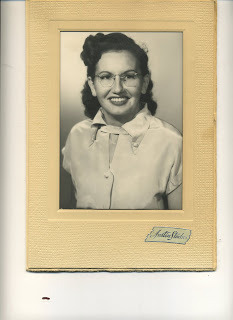 Wordless Wednesday ~ Do you know this woman? 1) Write a Genealogy Clerihew (and what is a "clerihew" you ask? SeeJim Smith's post todayfor more details and his clerihew (briefly, a clerihew is a four-line irregular poem or verse that follows an AABB rhyme scheme. It is named for the birthday of Edmund Clerihew Bentley the inventor, aka writer, aka poet."). If you're feeling especially creative, write two or more! 2) Show us your genealogy clerihew in a blog post of your own, in a comment on this blog post, or in a Facebook comment or update. C'mon, dazzle your readers and friends with your poetry and creativeness." A list showing what you use in terms of technology to either run your genealogy business or pursue your family history as a hobby. 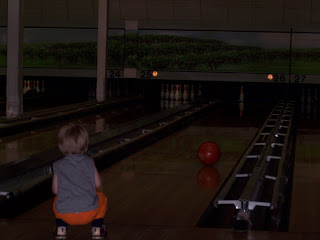 Thomas asks and states: "Why is this important? Very often – especially if you work at home like me – we operate in a vacuum. We have no idea what other people are using unless they mention it in an email or a blog post. Or we have to ask for a recommendation." Thomas has a great idea here and I have chosen to participate, so here is my list! 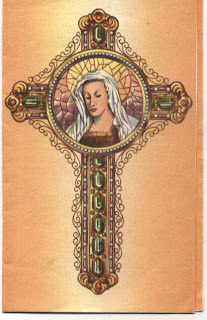 I have scanned so many funeral cards and obituary's lately I have decided to post these items on Fridays, hence the title Funeral Friday. Some of these may not actually pertain to my family, however I wish to share what I have as they may be helpful to someone. Unfortunately, most of the newspaper obits do not list a date of print nor the title of the newspaper. I will try to give location and dates that may be helpful as I can. In Memory of LOUIS KARL Born January 4, 1898 Entered into rest August 29, 1977 Services Tuesday - August 28, 1977 2:00 p.m.
25 years of age, living with Jacob and Christina Breighthaupt, his parents, and a younger sister and brother, Anna and Jacob. 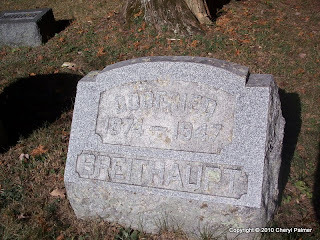 Gottfreid and his family were all born in Germany, except for Jacob who was born in Pennsylvania. The family moved to the United States in 1882 and I imagine the spellings of the names changed in order to be more consistent with the English language. As you know, this was such a common phenomenon, people immigrated to this country and changed their names and/or the spellings. In many cases Americans would spell immigrants names the way they heard them, not as they were actually spelled, thus inadvertently changing someone's name. 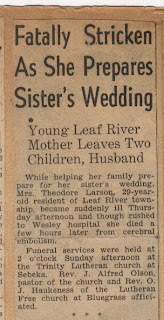 This obit, more than likely, was originally printed in a newspaper in northern Minnesota. Treasure Chest Thursday ~ Doubt Social Networking Benefits Your Genealogy? 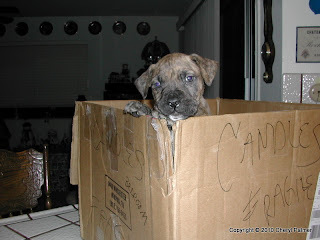 I have blogged before about cousin connections I have made through Facebook and my blog. This "Treasure Chest Thursday" I would like to share with you not an item, but a very gracious cousin who has given me many pieces of treasure! I met this cousin online in a round about way through Facebook, yes, the social networking site! I was first contacted by a new cousin in N.Y. who found me talking about my Westby line. She forwarded me to another cousin in Minnesota who actually forwarded me to yet another cousin on Montana, whom I will be calling "Westby cuz." "Westby cuz" and I have been emailing back and forth for close to a year now, sometimes several times a week. Such an amazing blessing is "Westby Cuz!" Sheis thetrue treasure!